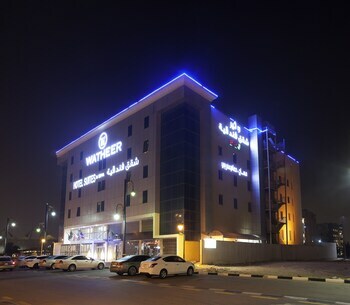 Located in Dammam, Watheer Hotel Suite is a 1-minute drive from Al Shatea Mall and 7 minutes from Marina Shopping Mall. Featured amenities include complimentary newspapers in the lobby, dry cleaning/laundry services, and a 24-hour front desk. Free self parking is available onsite. With a stay at Golden Prince 2 in Al Duwadimi, you'll be within a 5-minute drive of Al Duwadimi College of Engineering and Husseini Hospital.